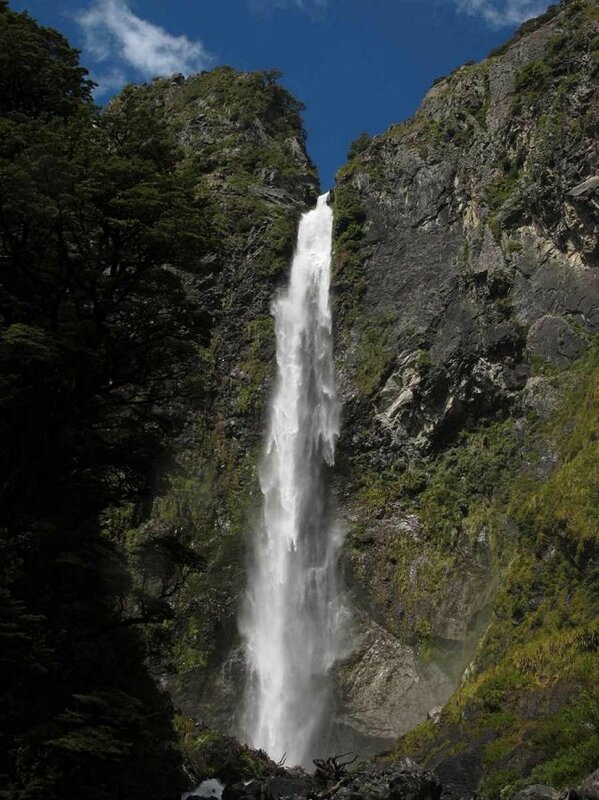 The top of this spectacular fall (131 metres) can be seen from the main road, but a walk to the base of the waterfall is well worth doing in almost any weather, at any time of the year. Go to the West Coast end of the Village (500m from the Visitor Centre) where a signpost points to the car-park where the walk starts. The track goes up the side of the Bealey River and over two footbridges before zig-zagging up steps through the mountain beech forest to the waterfall's base. Return the same way. If there has been heavy rain, Wardens Creek, a small creek just 50 metres from the car-park, is unbridged. Only jump across this creek if it is not dangerous to do so. Also the main Punchbowl Falls may be landing near the viewing platform, have very good rain gear and protect your cameras! This easy valley walk starts from the same car-park as the Devils Punchbowl Waterfall walk. After the first footbridge over the Bealey River, the track goes left through old-growth mountain beech forest (the first part of the Arthur's Pass Walking track). This walk takes you to a lookout with a view of the Bridal Veil Waterfall and back to the Village, 20 minutes from the track start. The track gradient is gentle to the lookout. Return the same way. This track, on the summit of Arthur's Pass, offers a good introduction to the sub-alpine and alpine plants of this area. The alpine flowers are in bloom from November to February. An excellent self guided natural history booklet for this walk is available from the Arthur's Pass Visitor Centre. The evenly graded track passes through a variety of alpine herbs, tussocks and shrubs. It also gives good views of the surrounding mountains. 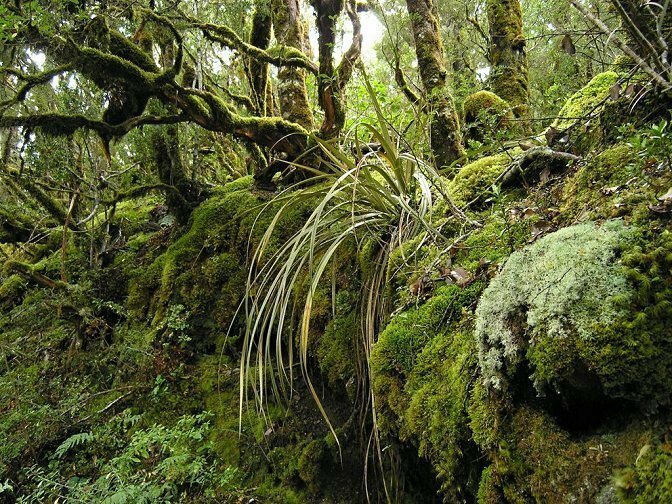 This is an attractive well-graded walk through mountain beech forest to the base of Mount Rolleston. This area is old-growth beech forest and is great for forest bird-life and the diversity of vegetation types. The track starts from a car-park 3 km north of Arthur's Pass Village on SH 73. The little green Jack's Hut, an historic road worker's hut, is just across the road. The track is bridged across the Bealey River at "The Chasm". The track grade deteriorates a bit here as it rises to a tussock clearing (alpine bog) and into the forest again before reaching the river again after about 30-40 minutes adjacent the avalanche warning sign. Return the same way. Warning: Avalanche debris collected at the head of the valley may be unstable. Large rocks and chunks of ice can fall at any time. Do not walk on the avalanche debris. In winter when there is avalanche hazard do not go past the avalanche warning sign in the Upper Bealey Valley. 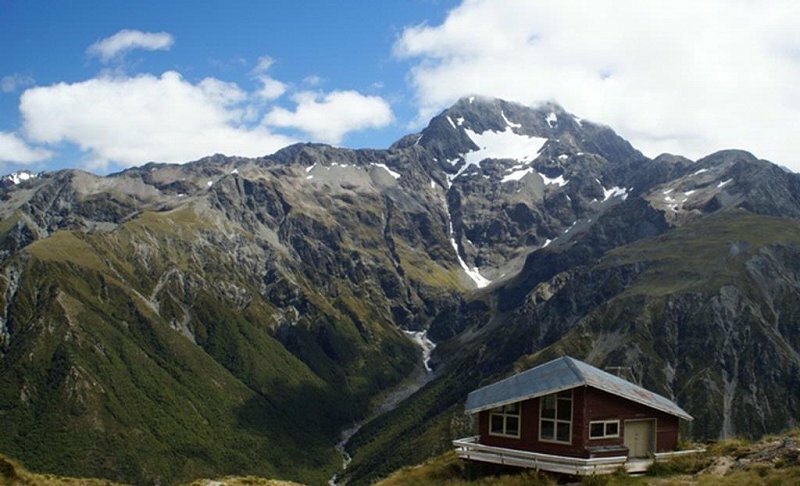 This is an attractive walk through Beech Forest and some alpine meadows to the summit of Arthur's Pass (920m). The track starts from the same car-park as the Devils Punchbowl Waterfall walk. After the first footbridge over the Bealey River, the track goes left through old-growth mountain beech forest (Bridal Veil Falls). The first part of this walk takes you a lookout with a view of the Bridal Veil Waterfall and back to the Village, 20 minutes from the track start. The track gradient is gentle to the lookout. From here you descend a staircase into the Bridal Veil canyon, then rise again onto a undulating track that takes you through stunted beech forest and some alpine meadows. After a further 20 minutes of walking you arrive at the Jacks Hut on Highway 73. Cross the highway into the upper Bealey Valley track. The Arthur's Pass Walking Track branches to the right off the Bealey Valley track about 200 metres from the car-park. From here it slowly climbs through old-growth Beech Forest, popular with native bird species (Robins, Tomtits, Fantails, Rifleman, Bellbirds etc). 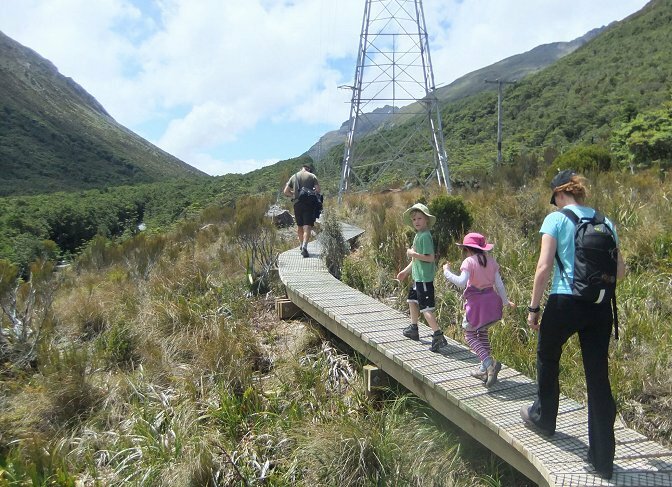 The track passes into alpine wetland at a bridge across Twin Falls Stream with beautiful views of Mt Rolleston's "Rome Ridge", and towards the mountains surrounding Temple Basin skifield. The track joins the Dobson Nature Walk at its southern entry. 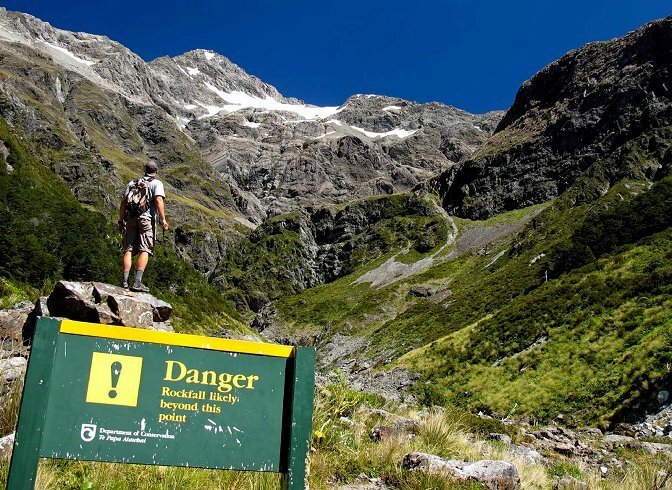 You could continue left into the Dobson for an easy walk of 20 minutes to the summit of Arthur's Pass (920m). Return the same way. Starts from the Temple Basin car-park, near the summit of Arthur's Pass, 5 km from the Arthur's Pass Village. In the summer, the basins are full of alpine meadows, which flower November to February. The alpine views from this track are spectacular as there are no trees from its beginning. The track begins on an old 4 wheel-drive track, then continues up a tramping track that zigzags steeply up the hill to the Lockwood Public Shelter and ski-field huts. The Lockwood shelter is only for day use. In winter the ski-field is open. The track in winter can be very icy or covered in deep snow. 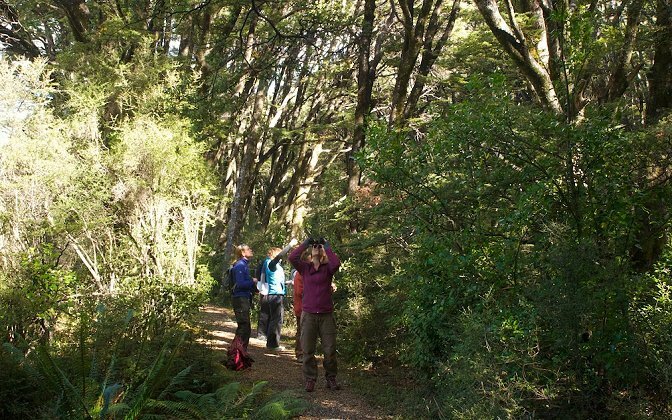 This pleasant forest walk starts and finishes near Greyneys Shelter, 6 km south of Arthur's Pass village. It follows a gently graded section of the century-old coach road and leads back to the shelter on a more recent track. The Coach Road was cut into the hillside to avoid the Bealey riverbed, which is prone to floods. You can still see sections of old rockwalling along one part of the track. It is suitable, but challenging for people using wheelchairs and for young children. At the northern end of the track there is a rope handrail. 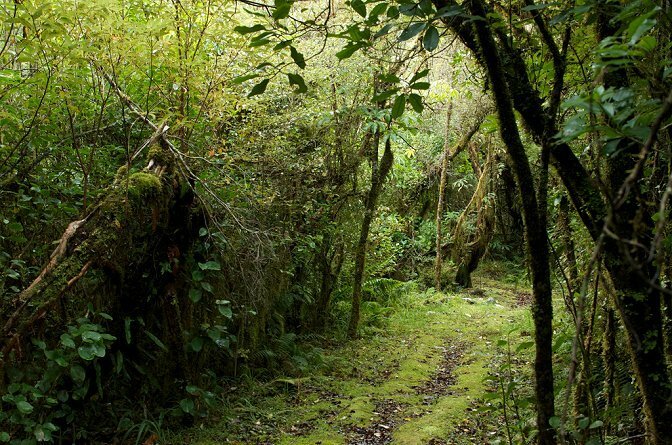 You can use it for guidance, so shut your eyes, and use your other senses as you move through the forest. 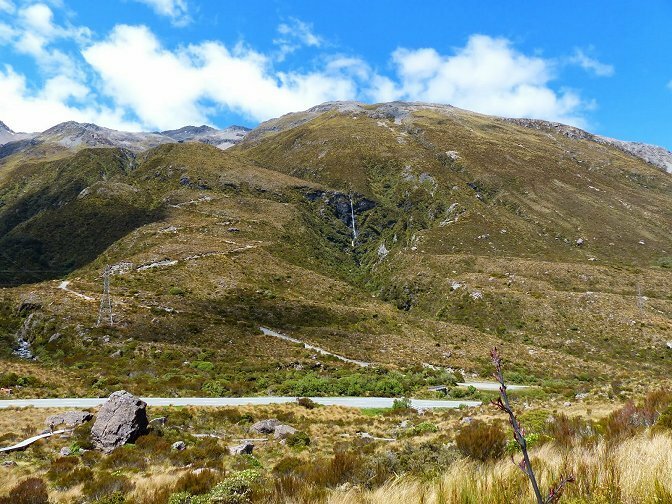 This walking route joins together the following walks - Arthur's Pass Walking track (and Bridal Veil), Bealey Valley track, Dobson Nature walk, Temple Basin track and the Punchbowl Falls walk. It will take you through a wide variety of landscapes, and give you the best overview of the area. This easy walk starts beside the Visitor Centre. Follow the path along the base of the hill towards the village. Small trout are often seen in Avalanche Creek from the historic bridge. From here, the path goes up to a viewing platform overlooking the Avalanche Creek Waterfall, which is lit at night. The loop track starts from the car-park at the end of the side road behind Kellys Creek. It winds through the diverse podocarp-broadleaf forest of the West Coast. It climbs up over a small hill and comes back out near the shelter. A short connecting track leads back to the car-park. 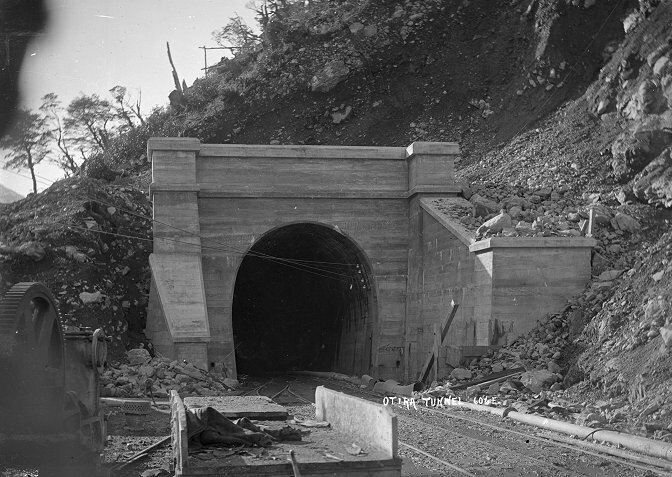 The track is named after Dr Leonard Cockayne, a renowned botanist, who provided the original inspiration to create Arthur's Pass National Park. 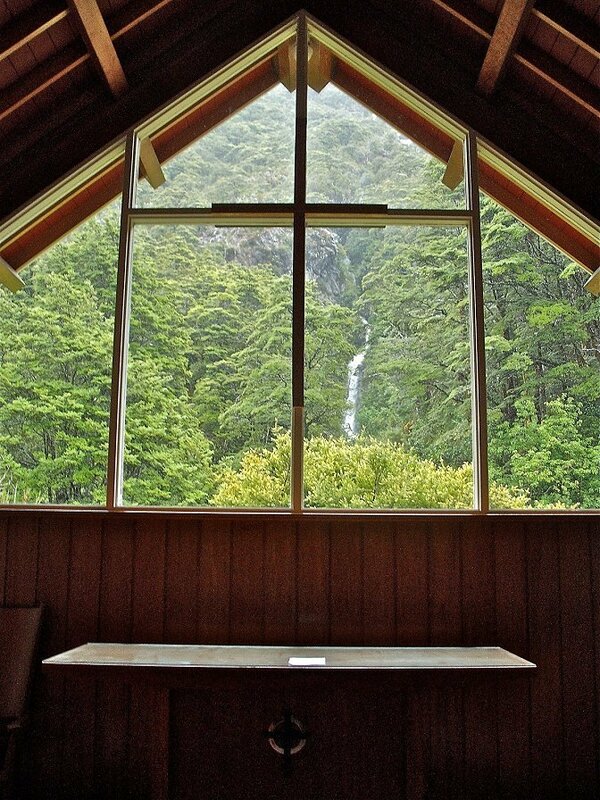 This leisurely, easy walk takes you around Arthur's Pass village to historic sites. At each site photographs show you how the village used to look in the early 1900's. 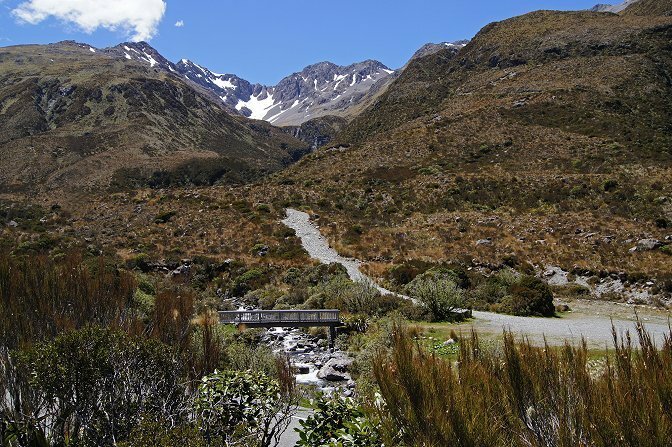 A pamphlet for this walk is available from the Arthur's Pass Visitor Centre. This alpine garden was established in the 1980's and has since seen further plantings of alpine plant species endemic to Arthur's Pass National Park and the Castle Hill Basin. It is located just 300 metres south of the Visitor Centre towards Christchurch on Highway 73. Approximately 54 species have been identified, many have name plaques associated with them. 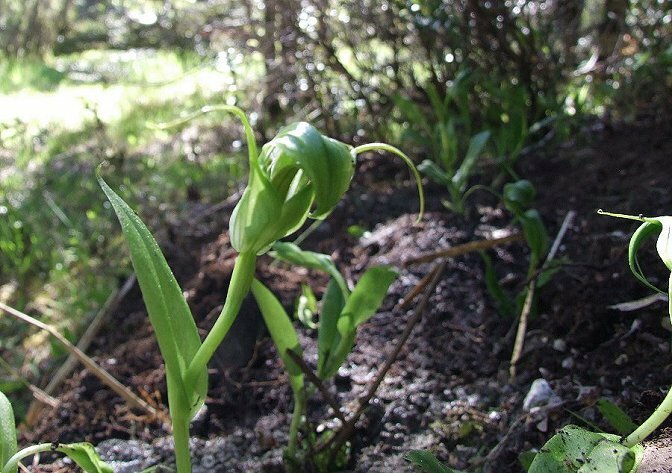 The Alpine Garden is maintained by the Arthur's Pass Wildlife Trust (www.apwt.org.nz).